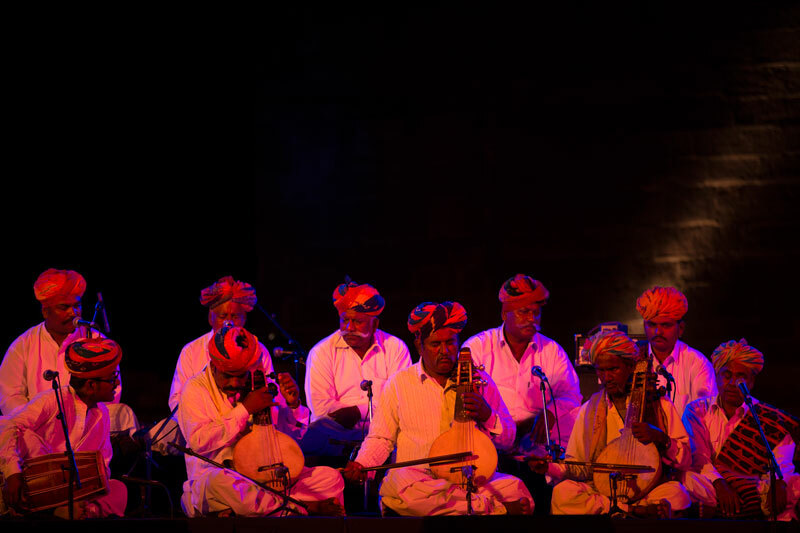 Nomad Travels invites you to the Rajasthan International Folk Festival 2018 (October 24th - 28th). 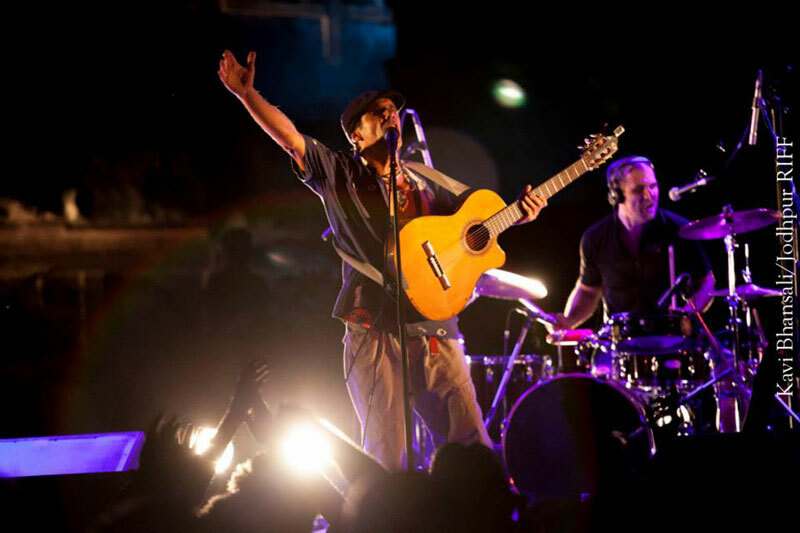 Book your place at the Jodhpur RIFF this year! The Jodhpur RIFF took off in 2007 and it's been growing in distinction and popularity ever since. 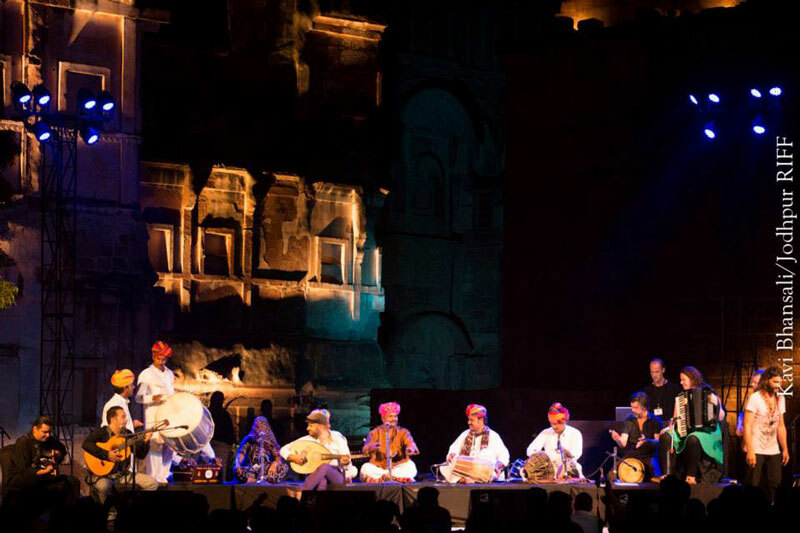 Hardly surprising, considering it attracts a galaxy of top-notch musicians from across India and all around the world coming together in a place as striking as Jodhpur's Mehrangarh Fort. The RIFF (October 24th - 28th this year) has been endorsed by UNESCO as a "People's Platform for Creativity and Sustainable Development." H.H. 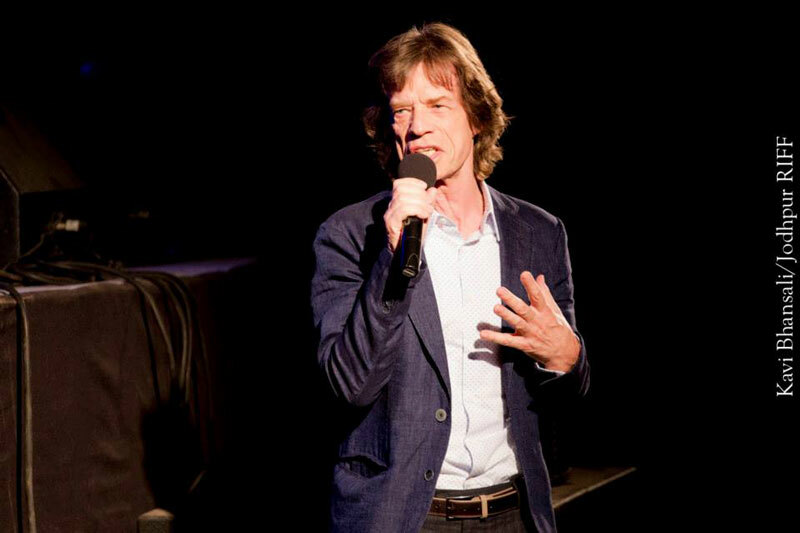 Gaj Singh II, Maharaja of Jodhpur is its chief patron and Sir Mick Jagger of The Rolling Stones is the international patron. You'll also have the rare chance to stay in one of the 15 exclusive tents within the fort during the festival. 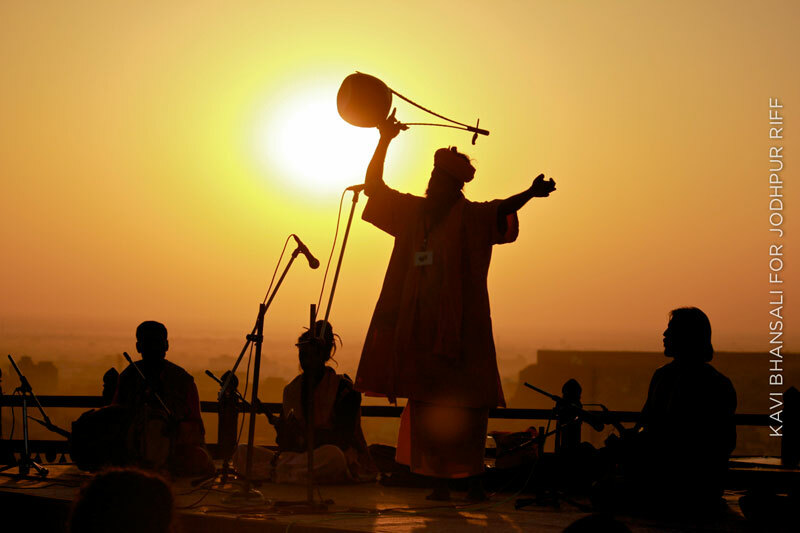 Oh, and did we mention - the RIFF takes place during the night of the brightest full moon of the year in north India, "Sharad Purnima!" 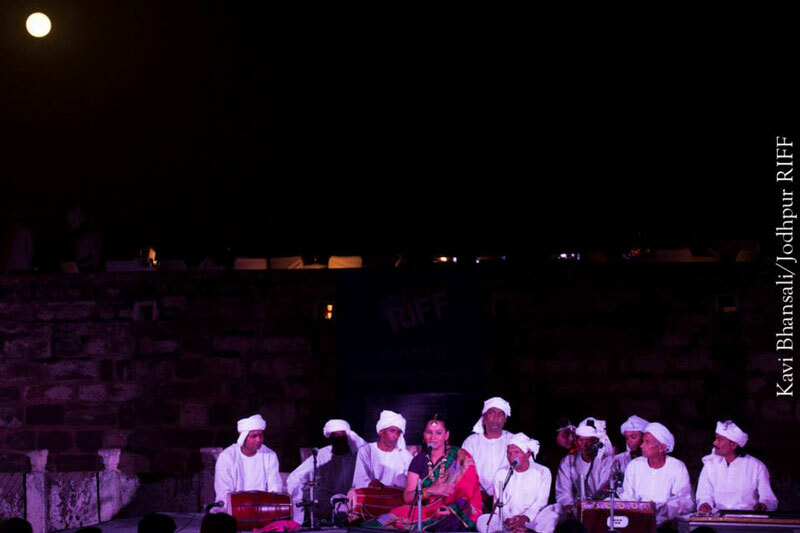 Click here to see the Jodhpur RIFF 2017 festival programme. Arrive into Jodhpur, where you will be met by our car and driver, who will transfer you to your hotel or to the Royal tents at the Mehrangarh Fort, depending on where you're staying. Head to the fort at your convenience. Founded in the 15th century, Mehrangarh towers over the city of Jodhpur and is one of the best maintained forts in the country. It also houses a fascinating museum, full of historical artifacts including paintings, palanquins, clothing and ancient weaponry. This is the venue for the RIFF. 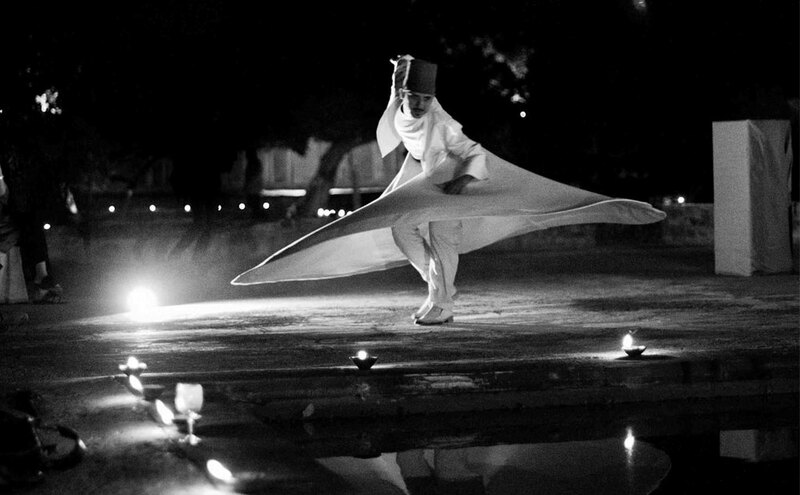 The magic starts this evening as the full moon rises, with an intimate dinner hosted by Mah. 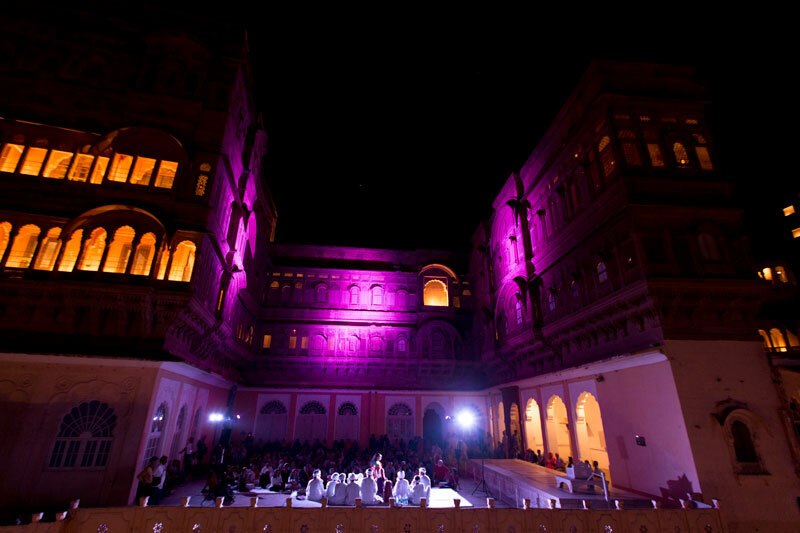 Gaj Singh of Jodhpur for guests staying in the Royal tents at Mehrangarh! 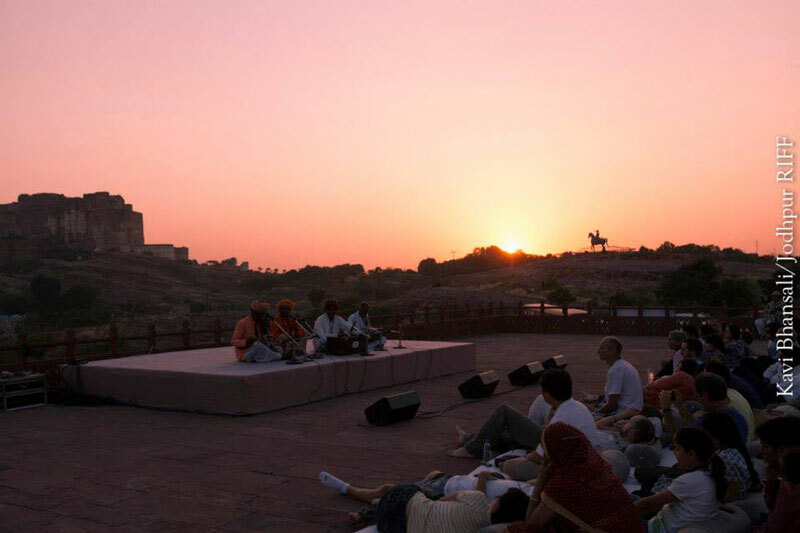 The dawn concert at the Jaswant Thada, next to the fort is a wondrous experience. The chill in the air and the hot chai are perfect accompaniments to the sublime notes. Return to your hotel and for breakfast. Later you could visit the museum at the magnificent Umaid Bhawan Palace or discover the fascinating markets in the old city and around the clock tower and enjoy a traditional Rajasthani lunch . Jodhpur is a veritable treasure trove of handicrafts, textiles, jewellery and the Jodhpuri "jootis" (traditional footwear) are very popular with locals and tourists alike. Return to your hotel in the afternoon, freshen up and head to the festival at the fort. Performances start early in the morning and run late into the night. 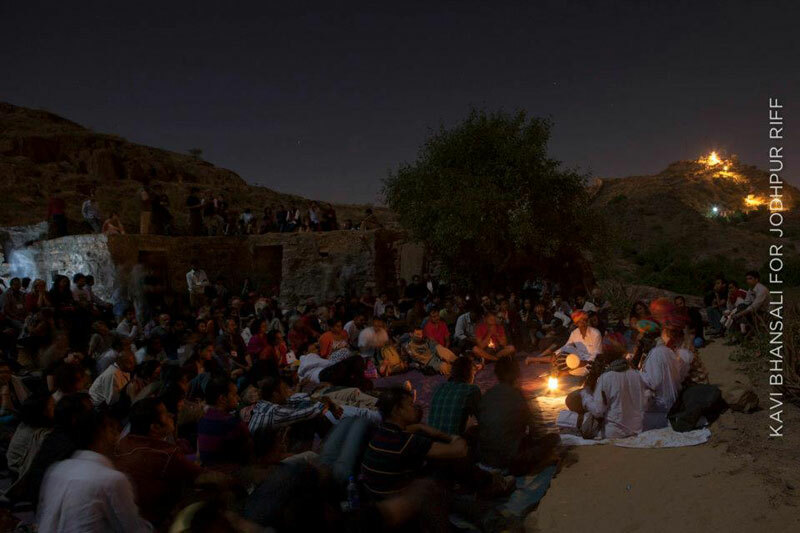 The dawn concerts continue at the Jaswant Thada every morning and are a very special part of the Festival. You can hang out at the fort through the day - there are talks, demos and workshops you could attend. The Mehrangarh fort also houses a fascinating museum and you could spend hours there. Or you could take an optional day trip to Osian (an hour's drive). Osian is an ancient desert town with some incredible temples dating from as far back as the 8th century AD. The refined stone carving work at Osian has given it the nickname of 'the Khajuraho of Rajasthan'. Spend some time exploring the temples- you can even take an optional camel ride through the desert. and head to the festival for the main events during the evening. The last concert of the night generally has the most interesting musicians of the festival jamming together. After a leisurely breakfast, check out and transfer to the airport/ train station with our car and driver. Or if you're not quite ready to end the holiday, we have some great places for you to explore in Rajasthan, like the golden city of Jaisalmer in the heart of the Thar Desert and Khimsar, another gem of a place about 2 hours away with a beautiful fort and a village where you can stay amidst the sand dunes. Or, there's the picturesque lake city of Udaipur... Rajasthan has much to offer. Note: Your accommodation options outside the fort include the Raas Haveli, Ajit Bhawan Palace, Bal Samand Palace Garden Retreat, Ratan Vilas, Devi Bhawan, Inn Season and Otara Luxury Guest House (or similar). Guests staying within the fort will be accommodated in deluxe Royal Tents with all meals included (bathrooms with running hot water attached).